NEW YORK, December 12, 2014: Global Bioethics Initiative held a screening of the HBO documentary film: “Tales from the Organ Trade.” An expert panel discussion followed the screening with special guests: Dr. Bruce Elliot Gelb, M.D., F.A.C.S., Director of Renal Transplantation in the Department of Transplant Surgery at NYU Langone Medical Center and Dr. Lloyd E. Ratner, M.D., M.P.H., F.A.C.S., Professor of Surgery and Director of Renal and Pancreatic Transplantation in the New York-Presbyterian Hospital at Columbia University. How much would you risk for a chance at a better life? This central question lies at the heart of the multi-award winning, Emmy-nominated film TALES FROM THE ORGAN TRADE, directed by Ric Esther Bienstock and narrated by David Cronenberg. It is a gritty and unflinching descent into the shadowy world of black-market organ trafficking: the street-level brokers, the rogue surgeons, the impoverished men and women who are willing to sacrifice a slice of their own bodies for a quick payday, and the desperate patients who face the agonizing choice of obeying the law or saving their lives. Fifty years ago, it was the stuff of science fiction — a dying patient resurrected with a transplanted body part. Today, it is an everyday miracle. Every year, tens of thousands of human organ transplants are performed around the globe. Most transplanted organs come from cadavers or relatives of the patient. But demand for this organ far exceeds the supply. So thousands are bought and sold on a black market that flourishes in dozens of countries where the rule of law is hostage to the dollar sign. International organizations monitoring the situation estimate — conservatively — that black market transplants generate over $500 million a year. With unprecedented access to all the players, the film explores the legal, moral and ethical issues involved in this complex life and death drama. What would any of us do if put in the position of having to buy or sell an organ? For each party, the stakes could not be higher. At the core of TALES FROM THE ORGAN TRADE is the anatomy of a single black market operation. This is not a black and white story of exploitation but, rather, a nuanced and complex story — one that compels you to examine your own moral and ethical beliefs. This is a world where the villains often save lives and the medical establishment, helpless, too often watches people die. Where the victims often walk away content and the buyers of organs — the recipients — return home with a new lease on life. 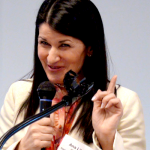 Ana Lita, Ph.D. is Co-founder and Executive Director of the Global Bioethics Initiative (GBI), an international not-for-profit organization incorporated in the State of New York in July 2011. She received a Ph.D. from Bowling Green State University, Ohio, specializing in Applied Ethics and Social Philosophy, and an M.A. in Sociology from the Central European University, Prague. Prior to her involvement with non-profit organizations she taught social sciences and philosophy in Europe and the United States. 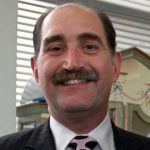 Dr. Bruce Elliot Gelb, M.D., F.A.C.S, is Assistant Professor at the NYU School of Medicine and a Director of Renal Transplantation in the Dept. of Transplant Surgery at NYU Langone Medical Center. He specializes in kidney and liver transplantation, laparoscopic donor and hepatobiliary surgery. He has a vested interest in the ethical issues surrounding transplants, as well as living organ donation. Dr. Lloyd E. Ratner, M.D., M.P.H., F.A.C.S., is Professor of Surgery and Director of Renal and Pancreatic Transplantation in the New York-Presbyterian Hospital at Columbia University. is Professor of Surgery and Director of Renal and Pancreatic Transplantation at Columbia University. Prior to joining the faculty at Columbia, he served as the Chief of Solid Organ Transplantation at Thomas Jefferson University in Philadelphia. Dr. Ratner has been a leading innovator in transplantation. In 1993 he performed the world’s first dual renal transplant. In 1995 (with Dr. Louis Kavoussi) he performed the first laparoscopic donor nephrectomy, and set the stage for its widespread adoption, which resulted in a profound increase in living donor kidney transplantation. He has earned the Elpic Award, as well as the National Kidney Foundation Research Fellowship Award.